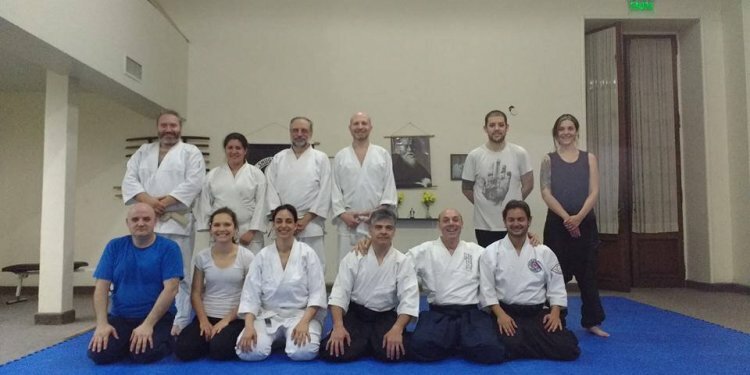 Shugyo Aikido Dojo in Union City, California, provides modern, practical, world class instruction and training! Shugyo Aikido is an ultra-modern self defense system: it is a 21st century mixed martial art system designed for practical civilian street defense against multiple attackers, and includes professional certifications. Shugyo Aikido is a highly evolved mixed martial art, developed according to the highest ideals of martial arts and inspired by Bruce Lee, representing a quantum leap from its origins in traditional Aikido, TaeKwonDo, and Karate. Its effectiveness is in its unique addition of joint locks, pins, and throws to basic strikes, kicks, and blocks: it instantly ends violent conflicts, and is one of the world's most respected arts because of its philosophy of peaceful security. The training is combined with many other self defense skills to help you develop into a complete martial artist, giving you peace in your mind and spirit while developing your body.